Today turned out to be a lovely day with cool temperatures and blue skies, not like Saturday when we had almost 3 inches of rain. Even though the ground was soggy, I was able to finish the pruning job that I had started before the rain forced me inside early this weekend. 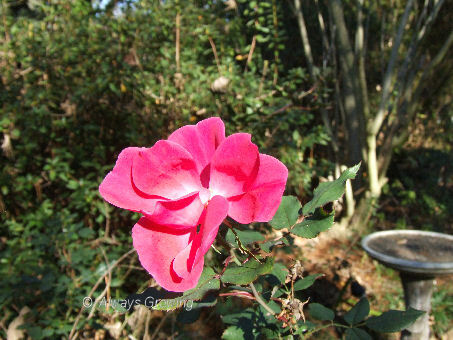 This far South, it is best to prune roses in late January to mid-February. I like to do this no later than February 14th, but while I finished pruning my mother’s roses on time, mine had to wait until today. The red Knockouts that I planted last fall were still blooming, and I hated to cut off the flowers, but they did need a light pruning. I used the cut flowers for inside, something I usually do not do because of the cat. I should use some of my roses in the house more often because the fragrance was lovely. I used to be very hesitant to cut back plants when I first started gardening. I guess I was afraid I would prune too much and the plants would die. I have since gotten over that fear and have realized that plants just aren’t that delicate. 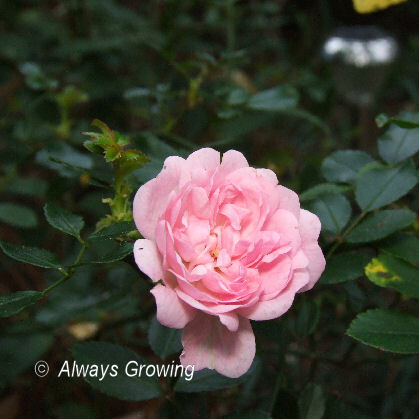 If you are unsure about pruning roses check here for information. 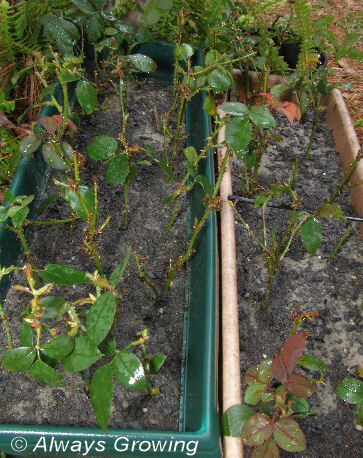 I did save some cuttings from my Butterfly Rose (Mutabilis), and I will try to root them. I am a little worried about this rose as the main stems do not look so good. There seems to be some cracks on the woody stems. So, I figured that trying to make at least one more might be a good idea. Just a little insurance. 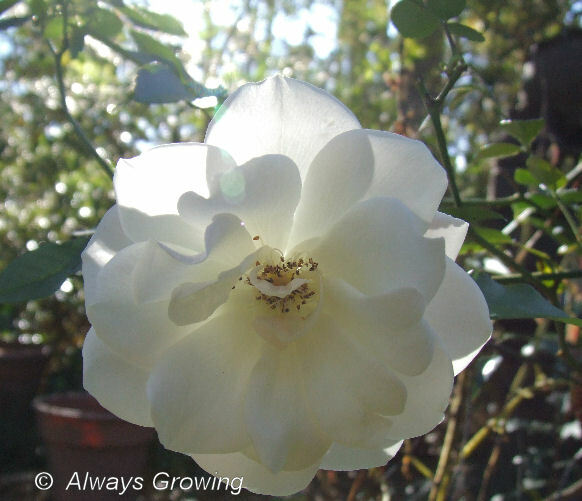 Tomorrow, I will fertilize all the roses, and with this mild weather, it shouldn’t be too long before there will be new growth and flowers to enjoy. The rain is stopping me from working in the garden again this weekend. While it is a little disappointing that all the chores I want to do won’t get done, we need the rain. Last year we were so dry, and the garden showed it. Now, with the rain we have had in late January and early February, I am hoping the garden this summer will look better. The rain coming down now is going to ruin the azalea flowers that are open. My azalea haven’t started blooming fully yet, so I still should get a nice show. The Japanese magnolias are just about finished blooming, so yesterday I went out and snapped some photos of the flowers before we would get any heavy rain that would ruin the remaining ones. These are such lovely flowers that I am always sorry to see them finish flowering. One consolation to this ending is that, for us, it is a sure sign that spring-like weather will be here to stay. Thanks to Carol of May Dreams Gardens for coming up with GBBD. This is the day (15th of the month) in which we post everything which is blooming in our gardens. It has been several months since I have done a GBBD post. 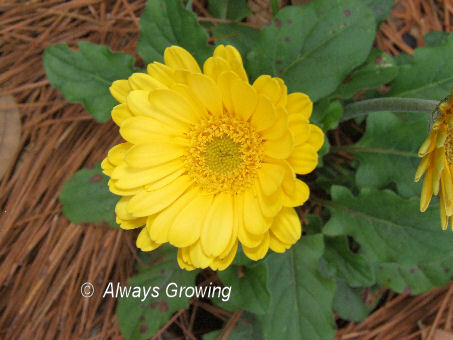 Life just seemed to get in the way of blogging, but it is good to be able to show again what is blooming in my garden even if it is late winter. 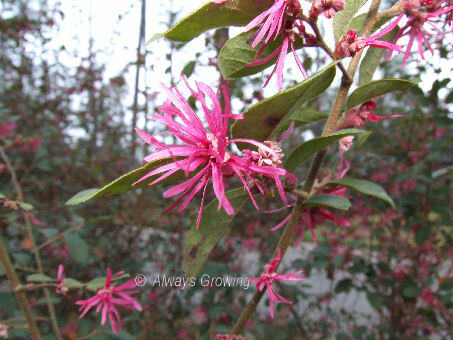 Some plants that usually bloom later than February are sporting flowers now, and some which bloom early still haven’t shown up. I can’t get over that so many gardeners north of me already have daffodils blooming. 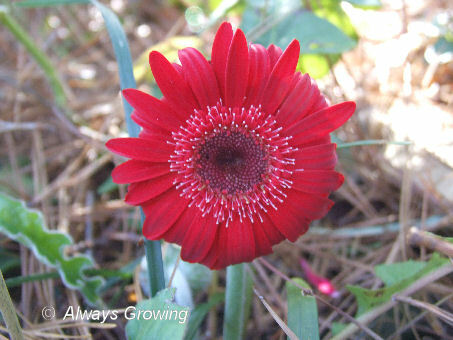 The gerbera daisies have not really stopped blooming all winter. With the just very chilly weather, they have been showing up for months. They do seem to flower better in cooler weather. Roses are blooming: Iceberg, The Fairy, the old-fashioned pink climber, and, of course, the Knockouts. 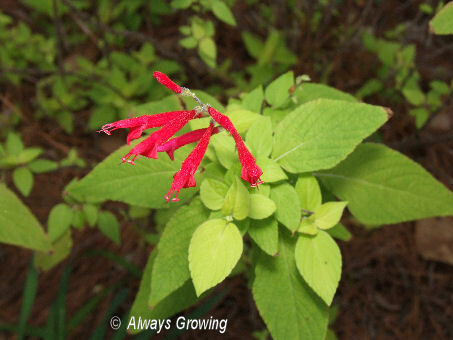 The pineapple sage has been blooming much to the delight of two ruby throated hummingbirds that have overwintered here. 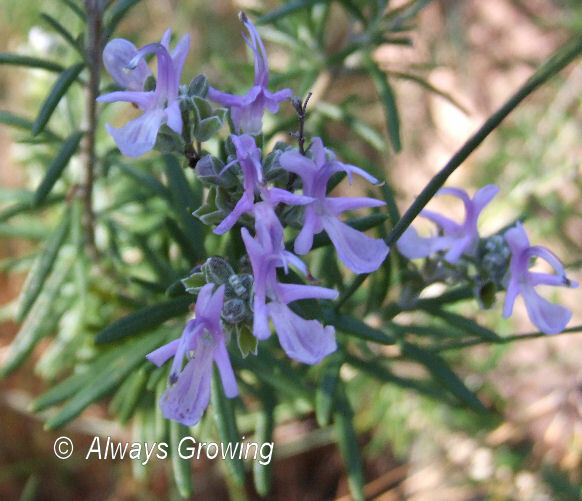 The old rosemary bush is covered with flowers which are drawing honeybees. 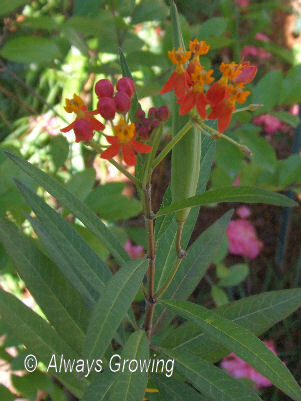 I don’t think the butterfly weed has stopped blooming all winter. Of course, the long-lasting flowers may make it seem that way. 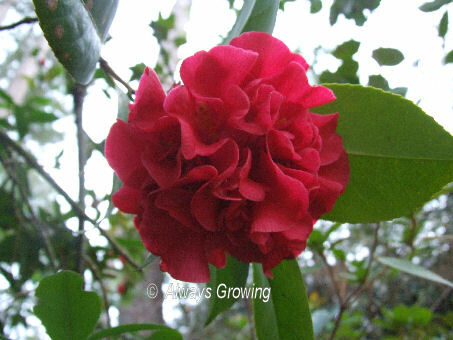 The camellias are still blooming. Some are just about finished, and others are just hitting their peak. 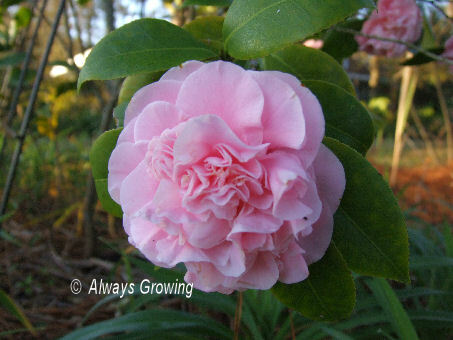 The real spring flowers, lorepetalum and azalea, are just starting to bloom. I am sure I have forgotten at least one plant that is blooming and will remember it as soon as I post this, but it is the end of a very long day and the brain is tired. If this cool to warm weather keeps up, next GBBD should be a record breaker. That is something to look forward to. A happy Valentine’s Day to everyone. I hope everyone is shown a little love today. I thought I would share one of my favorite e.e. cummings poems which seems particularly appropriate for this special day of love. Here is the deepest secret nobody knows. And this is the wonder that’s keeping the stars apart. It is seed buying time around here. Last year I didn’t order or grow anything from seed, so I was surprised at the shipping costs that my favorite seed company was charging. I was going to order eleven seed packets. The seeds came to about $25.00, but the shipping was over $9.00. I can’t believe that eleven packets of seed should be $9.00 to ship. I know that everything costs more these days, especially fuel, but I just couldn’t justify that much for such light weight items. I decided buy locally, and I was able to get just about every thing I wanted, however, there were a few seeds I couldn’t get because they are exclusive to that company. I ended up saving money not only on the shipping, but also the seeds themselves were cheaper than online. I still am going to look for seeds at a nursery in New Orleans, and if I am unsuccessful there, I’ll try in the Baton Rouge area when my sister and I go on our next garden field trip. 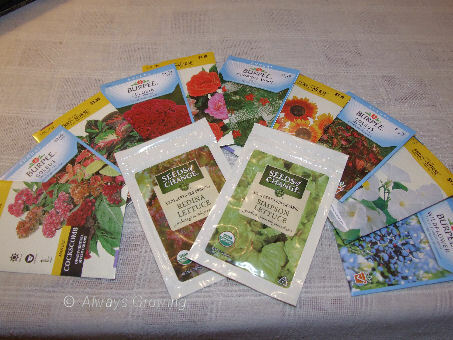 Our warm, spring-like weather has disappeared, so I won’t be starting any of these seeds this week. 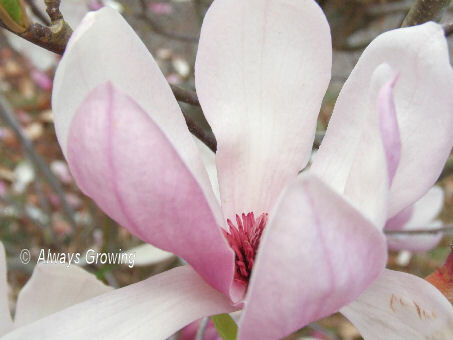 Next week will be “seed planting” time, something I am looking forward to with great anticipation. Have any of you ordered from seed or plant companies lately and found the shipping prices a little high or am I just being unrealistic? 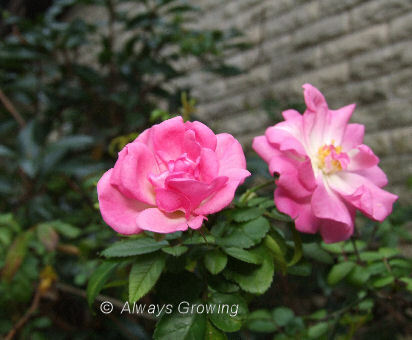 The last week of January to the first week of February is the time I prune my roses. They have usually started blooming again, and new growth is starting. 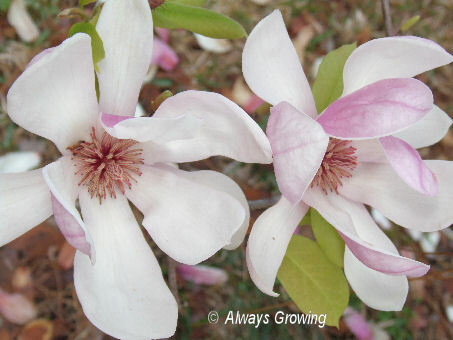 It breaks my heart to cut off flower buds at this time, but it is necessary for better flowering later. It is also at this time that I will take some of those cuttings and try to root them. 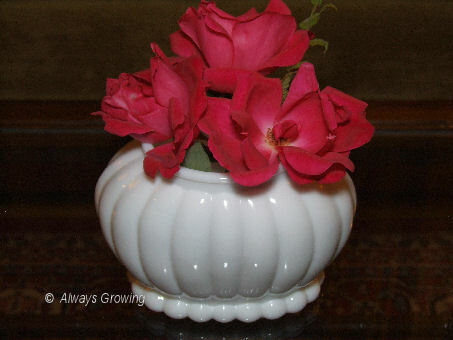 I have been fairly successful in rooting new roses, so I thought I would try again this year. This year I am trying to root a red rose from my mother’s garden. When I went by her house last Thursday, I fulfilled my promise to prune her roses since she is no longer physically able to do so. I took several of the trimmings from her red single rose to root. I tried this last year, but unfortunately took only one red cutting and several pink ones which I didn’t really want. She has the red and pink planted together, and I must have confused them when cutting them back last year. This year, however, I had marked the red one so I would be sure and get the right one. Because of work, I had to keep these cuttings in water until today. After re-cutting the ends and dipping them in rooting powder, I planted them in containers. Now, I will just keep them damp (we have high humidity here, so no having to cover them with plastic) and in a shady area for a few weeks, and then I should have some new rose bushes for my garden. If too many for me to use roots, I’ll just share with my sisters. I really do like this red rose, but, more importantly, it is from my mother’s garden. It will be something I will always have to remember her by. Here along the Gulf Coast, our winters are never severe, but we do get some pretty cold weather. It may not last long, but many garden plants that are hardy here will freeze to the ground and come back when spring approaches. The last two winters had some very cold temperatures, and I did lose a few plants, also some plants which had never frozen back did. I was very surprised that in the last two years the agapanthus was knocked back almost completely since that had never happened before. But this year has been different. Oh, we have had cold weather which required heavy jackets or coats but only two episodes where the temperature dipped to about 27 for a short while. While I did protect my tender container plants, everything in the garden was left on its own. Most will survive, but the tender summer plants don’t. Or so I thought. 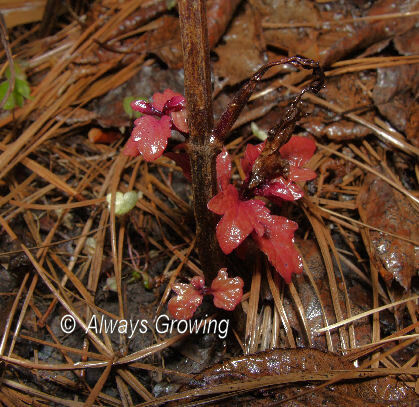 Imagine my surprise when I saw a coleus, yes a coleus, sprouting back. I could hardly believe my eyes. Coleus, that summer plant which melts at the first light frost, was coming back. I have never had coleus survive even our mildest winters before this year. 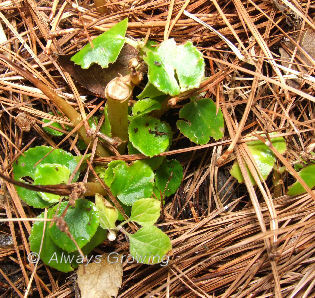 Another plant that survived this winter is the wax begonia. It is in a slightly protected area, so that helped, but it looks like I won’t have to buy any begonia this year. Next, I noticed sprouts on the moonflower vine. This was planted in a hanging basket that was left to face the elements unprotected. In fact, I had purchased moonflower seeds to plant in this very basket last Sunday. 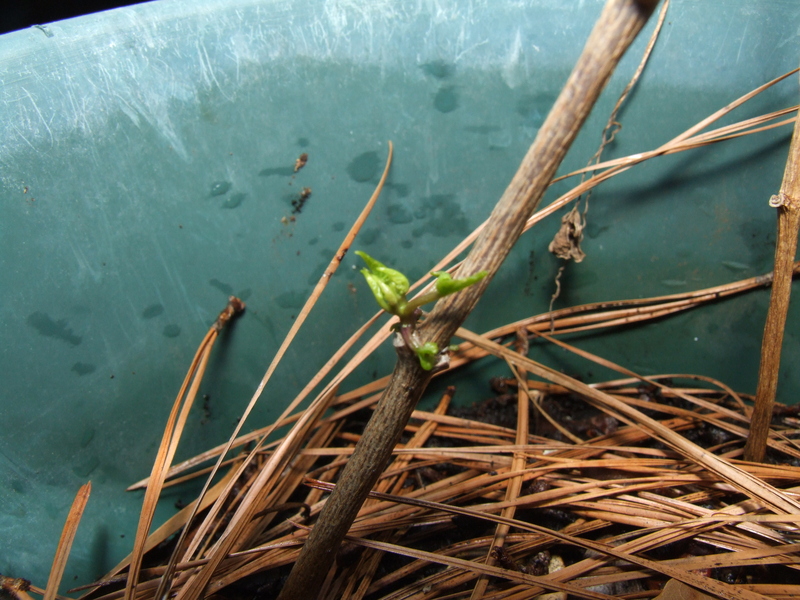 Just as I began to take the basket down to clear out the old, dead vine, I saw sprouts. 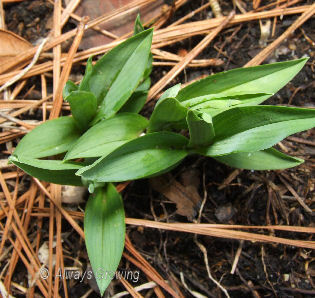 Other plants that ALWAYS freeze back have not this year. Unfazed by the cold were the pink bower vine, white Justicia, Turk’s Turban, firespike, night blooming jasmine, and angel’s trumpet. Since the firespike always freezes back and takes a while to get back to blooming, it will be nice to have the blooms earlier. 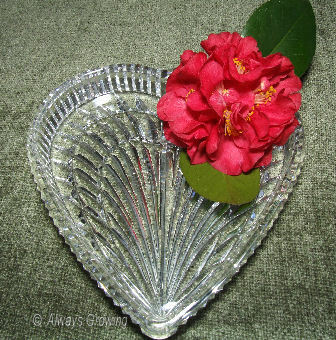 I know the hummingbirds will appreciate this too, since we have had two females spend the winter with us here. 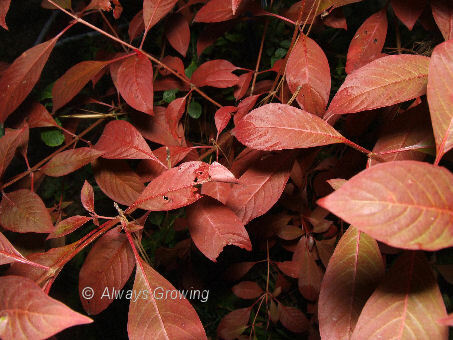 Look at these gorgeous red leaves. 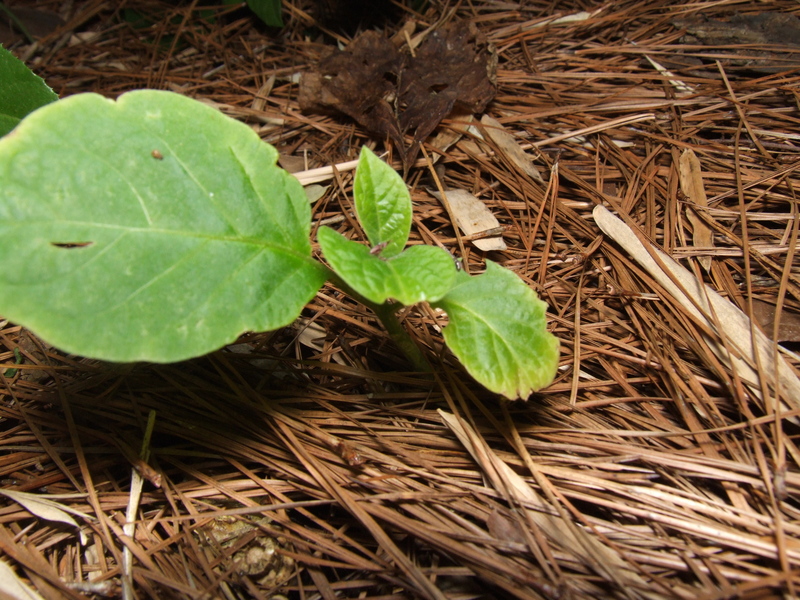 Another survivor, the Angel Trumpet, was very small, but not only did it not freeze back; it now has new growth. The only reason I can think of that would account for all these plants not being freeze damaged is that we have had a dry, cold winter with no warm ups. Usually, our temperatures fluctuate from cold to hot to cold, but not this year. So, the plants must have adjusted to the cold better than most years and combined with fewer actual freezes were able to make through this winter. Seems like there will be a lot of plants in my garden this year that will have a head start on the growing season.